Camping is a wonderful activity for families. There is nothing better than being able to escape from everyday life so that you can relax and explore the outdoors with people that you love. Of course, your camping trips will go a lot better if you are prepared. Caring for your gear properly between camping trips is an important part of the equation. You need to store your equipment the right way if you want it to last. When you get home from a camping trip, it is easy to fall into the trap of just stuffing all of your gear into your basement or attic to get it out of the way until your next trip. Even though this may be the easiest way to deal with it, it isn’t the best way. It is well worth taking the time to prepare your gear for storage before you put it away. One of your primary goals should be to clean away any dust, dirt, or debris that has accumulated during your trip. Wash any of the items that you brought along with you so that they are clean and ready to go for the next time. 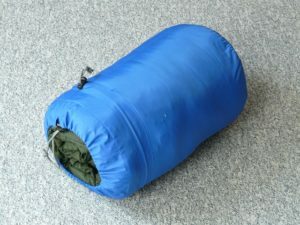 Make sure that items like sleeping bags and tents are completely dry before you fold them up to store them. Cleaning everything before putting it into storage will make it a lot easier to get out the door quickly the next time you want to go camping. Zippered storage bags are a good option for small, loose items that could easily get lost. You can also purchase larger storage bins to keep any of your bulkier gear contained. Whatever types of containers you choose, make sure that they are water resistant so that they will keep your gear dry. That way, you won’t have to worry about problems such as mold or mildew. If you have any problems with moisture in your garage or basement, you may want to look for an alternative place to store your gear inside your home. Ultimately, the location that you choose should be free from moisture so that your gear stays dry until the next time you use it.